Emma King Consultancy works with clients across the museum, heritage and cultural sectors to turn ideas into reality. Established in 2004, we specialise in creating great learning programmes, exhibitions, evaluation, business plans and partnerships. We can help you develop and manage projects, raise funds for new ideas and make the best of existing resources. If you’re interested in working together, or you just want to talk over some ideas, we would love to hear from you. We're working with the Holocaust Survivors' Friendship Association on an HLF bid to establish a Holocaust Heritage & Learning Centre at Huddersfield University. 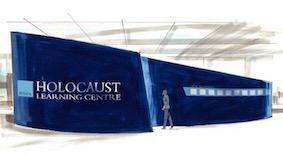 I'm about to start a new role as Director of a new Holocaust Heritage and Learning Centre in Huddersfield. Time for a change of scene! We've been making some changes and are pleased to have a revamped website. Emma is a highly talented and professional woman with high level intellect, vast experience in the cultural and heritage sector, excellent written and communication skills, a prodigious work rate and able to project manage. She can be relied on to produce high quality work. I have been impressed by Emma's professional knowledge, her creativity and her sharp, analytical mind. She is highly organised and has a good portion of common sense. Most of all, I have valued Emma's ability to take ownership of any task she faces, contribute new perspectives, and make everything that crucial bit better than it was. The suite is excellent as it highlights the diversity of the subject... the resources have been considered to engage pupils to learning more about the subject and understanding WW1 wasn't all about trenches. It has been a pleasure working with Emma, she has been an asset to the team and provided us with exactly what we needed. She is very methodical and organised in her approach, always delivering on time and to a very high standard. Emma provided invaluable information during the front end evaluation phase which helped to inform the design brief. It is often easy to forget that Emma isn't a full time member of the team due to her comprehensive knowledge of the project, and willingness to get involved.